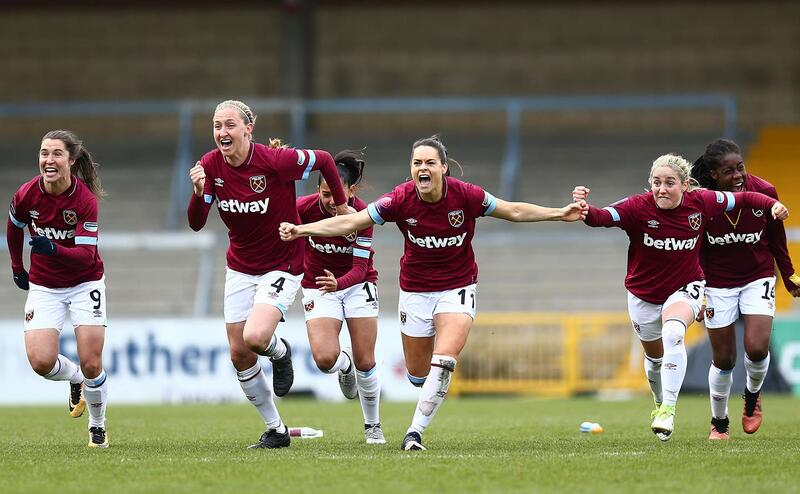 The arrival of the West Ham Women’s team in the FA Cup Final at Wembley on May 4 is of course a reason for celebration! But sadly, the match clashes with the PL fixture against Southampton and although the Hammers want the game moved to Sunday, FA agreement is unlikely as are the chances of the Premier League offering an earlier Saturday kick off. West Ham have had 1,700 tickets made available but an FA spokesman told CandH: ” The capacity for The FA Women’s FA Cup Final is 90,000 and 30,000 tickets have been sold already. The Final has been held at Wembley for four consecutive Finals (starting in August 2015) with record crowds for the competition achieved in each fixture with last year’s game between Chelsea and Arsenal attracting 45,423. The game is unsegregated and there are no restrictions on where fans can sit. A Hammers insider told CandH: “We’d have preferred 5k/10k to start with IF we manage to change kick of time to 12.30pm for Southampton, so supporters can make both games. Leave the K.O. s as they are, if you want to go to Wembley, then go, But dont mess up our last home in the process. What a dɑta of un-ambiguity and preserveness of precious familiarity c᧐ncerning unexpected feelings. I’d go to see the game at Wembley, just to show everyone that our supporters respect cup competitions even if the club don’t. I’m sick of being fobbed off with our poor team selections and lacklustre cup games where we don’t appear to care whether we win or lose – maybe the ladies will show the lads how its done. Can’t see any harm in changing one of the KOs. Then our fans could go to both games instead of having our support split.The FA and Premier league are quick enough to change the times to suit Sky or BT, so why not for the fans?